Is Asia-Pacific Timberland a Growth Sector? Investors who follow wood and wood products know the market forces affecting the sector are many and varied. 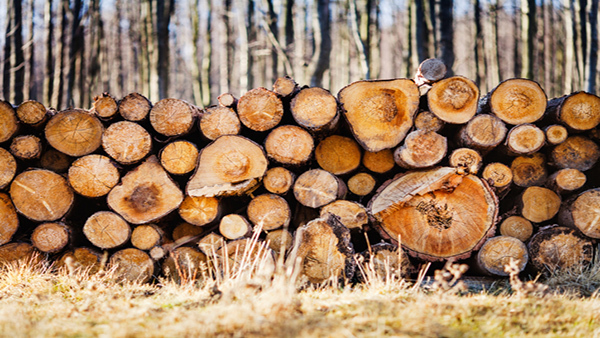 Investors who follow wood and wood products know the market forces affecting the sector are many and varied. Among those forces are a rising middle class in emerging market countries, an increasing global population, and the demands resulting from that growth. But environmental concerns are pushing back on a rising tide of consumption, and that’s given rise to trends within sustainable forestry—something that sustainable real assets investment management firm New Forests is very much aware of. In its report “Timberland Investment Outlook 2015–2019,” New Forests looks at how those pressures—both consumer and conservationist—are affecting the sector. Forestry and timberland have certainly garnered their share of investor interest. According to New Forests, assets under management by timberland investment management organizations (TIMOs) have doubled in the past 10 years. It’s not just interests in timber, energy and biomass products that are responsible for this growth; many investors are looking for holdings in real assets, like timberland. And it’s not just wood that’s driving interest along the supply chain. While products ranging from lumber to pulp are seeing varying demand, the loss of natural forest lands to purposes ranging from beef cattle in South America to palm oil in the Asia-Pacific region has driven concerns about deforestation and the need to drive more efficient management and uses of assets. With investors increasingly seeking out alternative investments as part of their portfolios, some are adding, or increasing, holdings of real assets as they diversify. Further, it said that it expects the alternatives market to grow “at an average annual pace of 5% over the next five years, and larger, sophisticated investors may look to investments in illiquid alternatives where they can seek illiquidity premiums and be exposed to beta-driven strategies.” It cited reports that 66 percent of institutional investors with at least $2 billion under management plan to increase their allocation to real assets, while individual portfolio allocations to real assets are expected to rise to 20 percent over the next 20 years. Investment in real assets within the forestry/timberland sector provides long-term exposure to growth given the demand of a swelling global population for “housing, furniture, food and fiber,” which New Forests says is likely to translate into growth in demand for timber and agricultural products. While such investments can also involve greater exposure to risk, some investors seek them out for the opportunities they present to invest in assets that provide sustainability solutions. That said, TIMOs are looking for ways to expand, and many of them, “already well diversified within North America,” are looking outside the U.S. to do so. New Forests’ Tropical Asia Forest Fund, which closed in 2013, represents the firm’s expansion across the Asia-Pacific region. Campbell Global, which is U.S.-based, this year announced an expansion into new markets with a global fund that will invest in Latin America and Australasia. The report said that among the top 30 TIMOs globally, seven are operating in Asia and eight in Australia and New Zealand as they increasingly diversify into additional regions. Asia and Africa are on the “emerging edge of forestry investment,” according to the report. As yet there isn’t much institutional investment in forests in either region, and both have relatively high discount rates. In Indonesia and Malaysia, for example, the report said that real discount rates range from 9–15 percent. In addition, local forestry companies can have an advantage over foreign investors because of their access to lower discount rates or lower-cost debt financing. TIMOs are getting more creative, as well, in the way they approach land investments. They’re not just looking at the timber; instead, in their quest to add secondary revenues to the value of the trees, they forge alliances with conservation groups, consider recreational use of timberland and even sell conservation easements. China’s economy may be slowing, but its hunger for timber imports is nonetheless a force to be reckoned with. Its construction market accounts for 70–80 percent of the softwood logs and lumber it imports, and those imports hit an all-time high in 2014, at $12 billion in logs—51.4 million cubic meters (67.2 million cubic yards)—up 14 percent in volume and 26 percent in value from 2013. • China and Japan are the two largest sources of demand for hardwood chips, and their combined import volumes of both hardwood and softwood chips rose in 2014. • Vietnam has become the largest exporter of hardwood chips, but its production could be headed back down again, thanks to policies encouraging domestic processing. • New Zealand—thanks to currency exchange rate fluctuations—is the largest exporter of logs to China, and to Australia as well. • The demand for pulp and paper for newsprint, printing and writing paper is falling, but packaging and tissue demand are rising, thanks in part to the rise of e-commerce, which has spurred substantial growth in the demand for paper-based packaging.